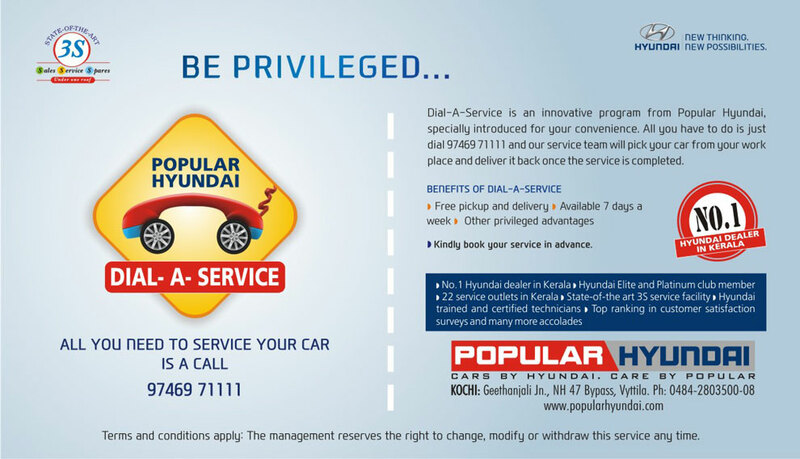 "Dial a Service" is an innovative program from Popular Hyundai, specially introduced for your convenience. All you need to do is just dial 97469 71111 and our service team will pick your car from your home or workplace and deliver it back once the service is completed. To dial the number 9 7 4 6 9 7 1 1 1 1 , please click on the 'Call' button available jut below this line.